Top 10 Things to Do in India for Kids - Ultimate Guide! 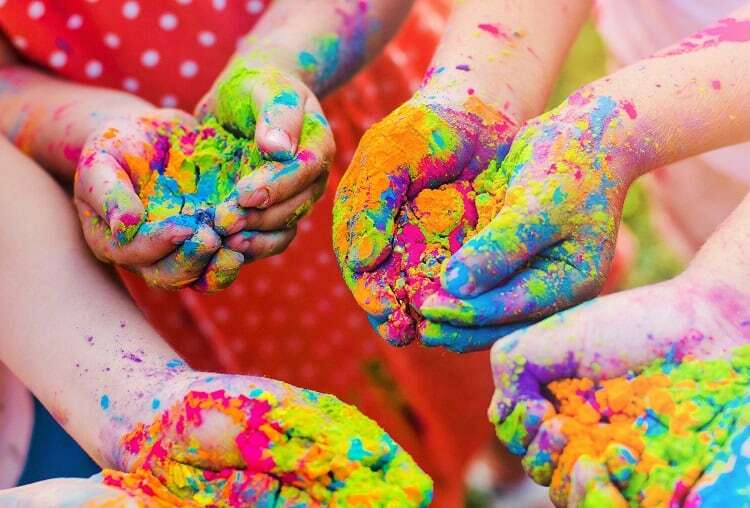 Top 10 Things to Do in India for Kids – Ultimate Guide! Looking for the best things to do in India for Kids? Check out the top 10 right here! India is a very diverse country. With a wide cultural diversity, there are many things one can experience in India. From landscape to food, to adventure activities, India has it all and this is not just limited to the traveler. India for kids is equally existing as well as a learning experience at the same time. I have seen many foreign tourists in India exploring the little corners of India with their kids. And there are so many unlimited activities that even a lifetime is not enough to explore. Below, I am listing down top ten things that kids in India can experience (in no particular order though). 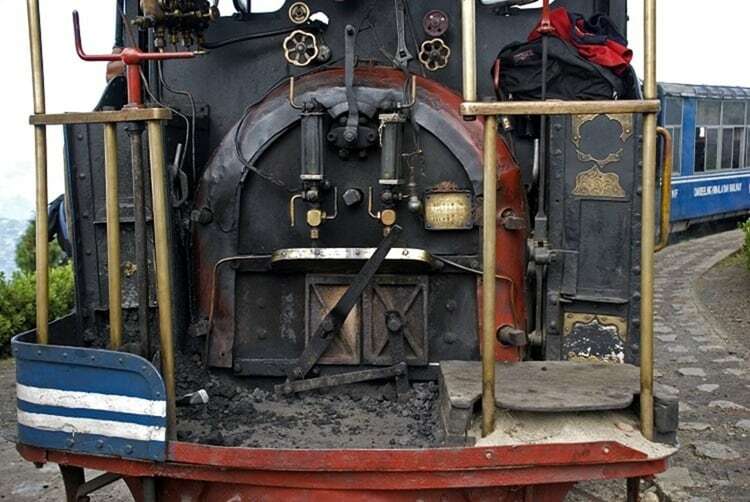 Darjeeling lies in the North-Eastern side of India – the most picturesque and beautiful region of India. From here, you can also see the highest mountain peak of India – Mount Kanchenjunga. Mount Kanchenjunga is also the world’s third highest mountain peak. This toy train runs on the mountain slopes and goes through several tunnels and forest areas. It is one of the most fun-filled rides one can have in the hill stations. From here kids can see the entire mass of valley stretched beneath the mountain. Also, get a blowing bubble machine here and peek out the train window while blowing bubbles. It is one of the most surreal things to see for both the kids and other tourists. Alleppey lies in the Southern part of India in Kerala. It is one of the greenest parts of India and the place looks like straight out of a fairy-tale. One can easily cruise through the backwater of Alleppey in a boat while having the local food and experience an altogether a different culture. It is also a very good experience for the kids when they see the sunset on a boathouse in the backwaters of Kerala with nothing but greenery just ahead of them. Jaisalmer is the dessert arena of India. 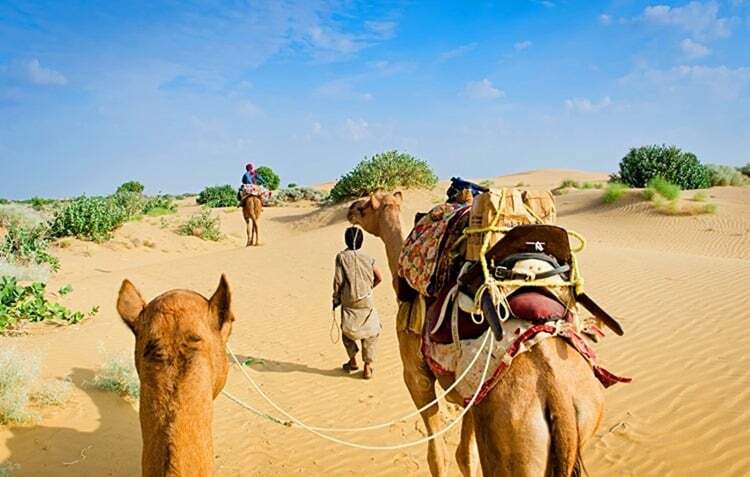 Thar desert can offer so many amazing experiences for kids that they will cherish for a lifetime. Here you can ride on camels and do a desert safari on the dunes. 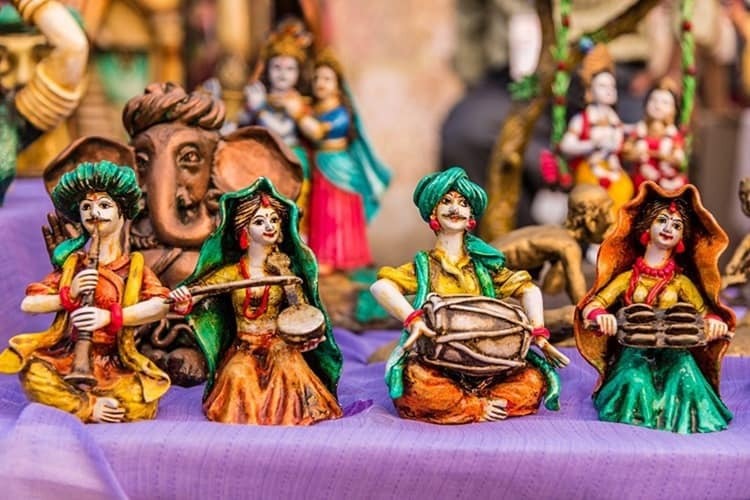 You can also watch the Rajasthani culture in full glee and try their cuisine which is an experience of a different kind. Bir Billing lies in the North side of India and offers beautiful green views of the valley and mountains. Tourists but majorly go here for the adventure and the kids would love it as well. One can do para gliding on the green valley which is not only breath-taking but a thrilling experience as well for the kids. It is really adventurous to run from the hill and fly in the air for twenty good minutes. Many kids come here to try this sport. Lonavala is regarded as one of the biggest amusements parks of India. It lies near Mumbai and the entire scenery and surroundings feel a scene right out of the jungle book. It offers different rides as well at Adlabs Imagica which kids enjoy thoroughly. A place where the kids will for sure experience the adrenaline rush. Nongriat lies in the Meghalaya region and one has to climb down almost 3000 stairs to reach to this place! Yes, reaching here is a little challenging for the kids but this is the place where kids can learn how raw life can be. People have a basic life here and it is so refreshing to see that how happy a simple life can be. 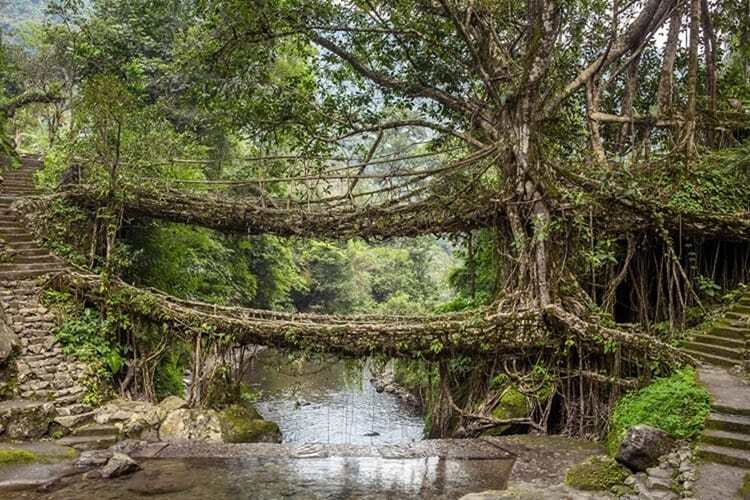 Here, there is a famous bridge made of tree roots known as – Double Decker Living Root bridges and kids can also take a dip in the rainbow waterfalls. Just make a proper itinerary and do a thorough research on how to reach Meghalaya and this place will take yours and the kids breath away. 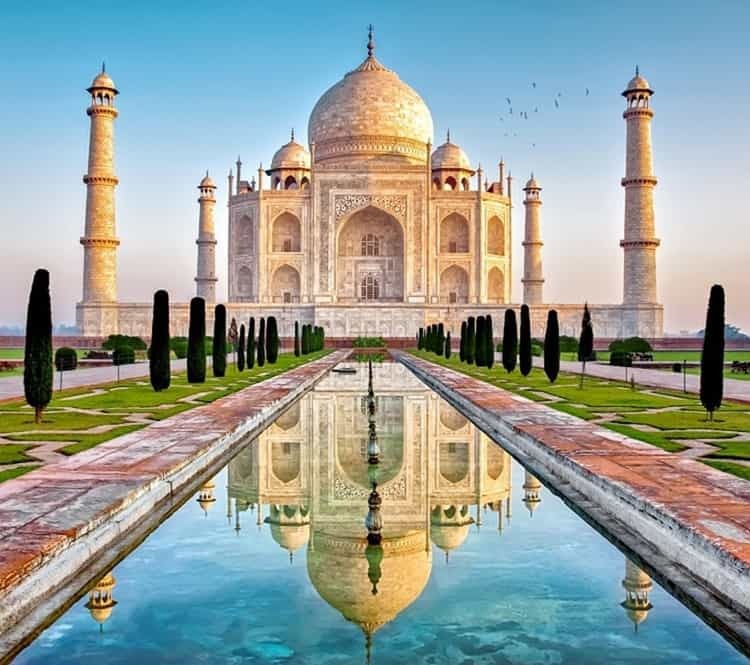 All the international tourists who want to visit India always want to visit Taj Mahal as well. It is India’s most famous site and has a historical significance as well. This monument was built for love and it took more than 22 years to be built, so you can imagine how beautiful and detailed it will be. This is why the kids must visit this place in India. The Taj Mahal has several ‘tonga rides’ that kids can take as well (horse and cart). There are several places in India where you can go on a safari to spot tigers in their natural habitat. There are 47 tiger reserves and the most prominent one is Ranthambore National Park. There are both morning and afternoon jeep safaris which is usually a 3-hour ride through the forest. Kids can see several animals in their natural habitat – leopards, wild boar, sambar, bears, monkeys along with tigers. Udaipur is really famous for its culture, views, valleys, lakes and also a puppetry. This is also really famous among the kids and they thoroughly enjoy it as well. This will also let kids know of history. These shows are usually accompanied by lights and sounds which makes a really vibrant experience for the kids. The nature lovers will love this place. 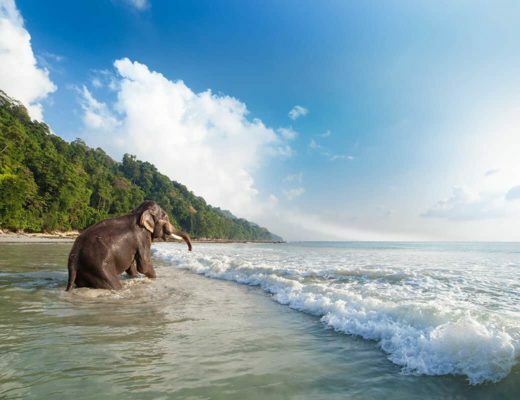 This place has never-ending beaches and also it is the best place to do scuba diving and snorkeling in India. 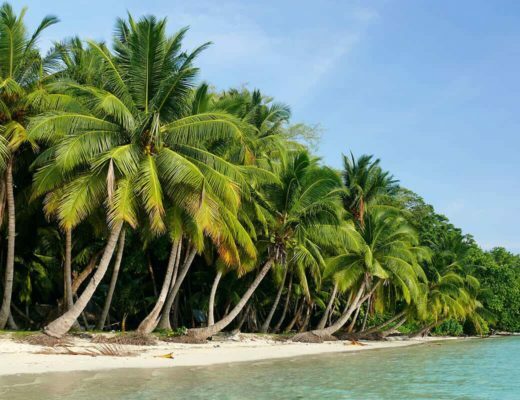 It was clear blue waters, coconut trees and is a perfect place for a family adventure. Kids can play adventure sports in water, walk along the coast as well as it is a perfect place to explore the wildlife. India is a place where adventures are endless and one can keep exploring places to give their kids a lifetime experience. India for kids are not limited to these ten adventurous activities only, but it is much more than that. However, the most prominent ones are these ten itself. I hope you explore these places with the kids and have an amazing time here. now. 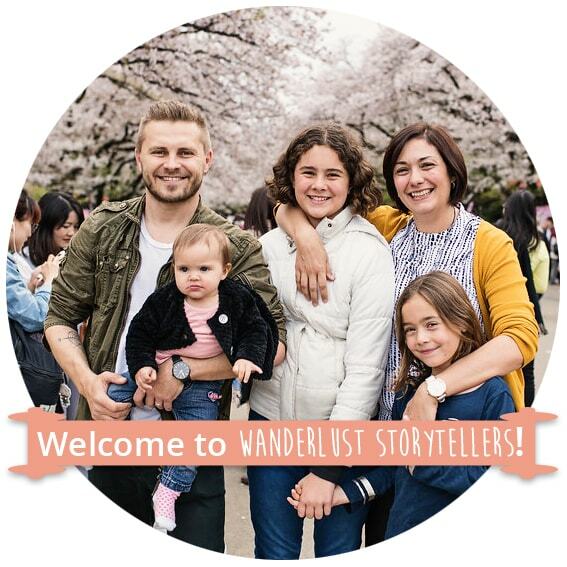 She owns one half of the travel blog – Nomllers. 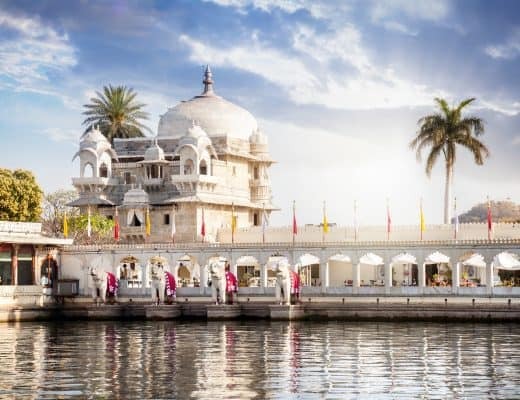 5 Places to Visit in Udaipur, Rajasthan!